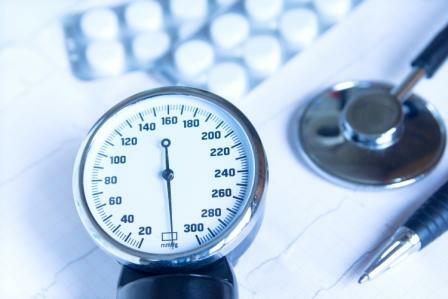 NOH is a rare, chronic and often debilitating drop in blood pressure upon standing and is associated with increased morbidity adversely affecting the quality of life, especially among the elderly. NOH is a major manifestation of several diseases that are associated with chronic autonomic failure of noradrenergic neurotransmission. Approximately 40% of patients with Parkinson disease have NOH. Multiple system atrophy, pure autonomic failure, autoimmune autonomic ganglionopathy, familial dysautonomia, and dopamine-β-hydroxylase deficiency, as well as diabetic and nondiabetic autonomic neuropathies can all be affected with NOH. NOH can also affect the autonomic function of bowel and the bladder. NOH affects nearly 150,000 persons in the United States. Symptoms of NOH include dizziness, lightheadedness, blurred vision, fatigue and fainting when a person stands. Clinical trial data supports the use of Northera for at least two weeks to alleviate symptoms associated with NOH, and is the first and only approved drug. Therefore use of the drug beyond two weeks needs to be monitored regularly. The most common adverse events noted with it’s use have been headache, dizziness, nausea, high blood pressure (hypertension) and fatigue. Northera carries a boxed warning to alert health care professionals and patients about the risk of supine hypertension, a common problem that affects people with primary autonomic failure and can cause stroke. It is essential that patients be reminded that they must sleep with their head and upper body elevated. Supine blood pressure should be monitored prior to and during treatment and more frequently when increasing doses. The NORTHERA approval was granted under the FDA’s accelerated approval program, which allows for conditional approval of a medicine that fills a serious unmet medical need, provided additional confirmatory studies are conducted. Metzler M, et al. Neurogenic orthostatic hypotension: pathophysiology, evaluation, and management. Journal of Neurology. Official Journal of the European Neurological Society. 2012. 10.1007/s00415-012-6736-7.